Nothing against overwater bungalows or lounging beachside, but now and then a bit of urban pampering is in order, especially when it’s time to woo your special someone on a romantic occasion. For when you can’t make it to a private Indonesian island for the weekend, these hotels will treat you just as good as the honeymoon resorts. Whether you’re planning a last-minute getaway for Valentine’s Day or a celebratory trip for an anniversary (or you just really like surprising your partner) these eight romantic hotels ought to do the trick. 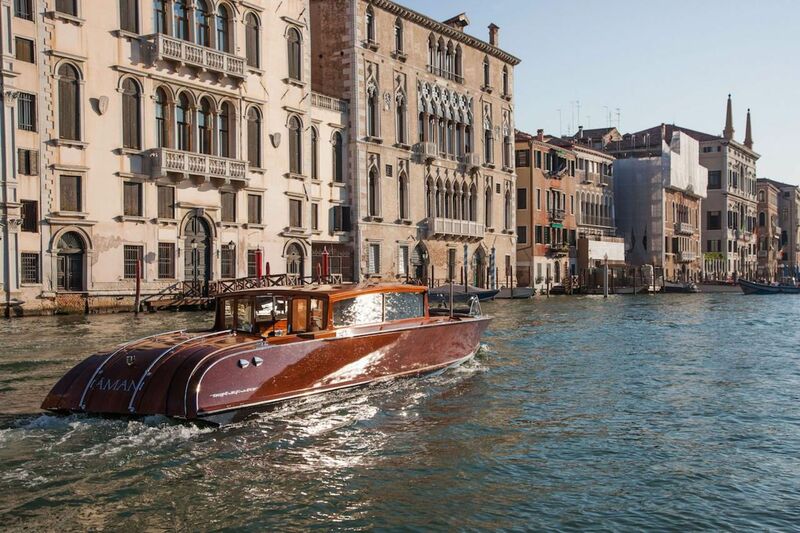 The Aman Grand Canal is George Clooney’s venue of choice in Venice. In 2014, the Hollywood star wed Amal Clooney in this high-end property set inside a refined 16th-century palazzo, steps from the Grand Canal. Few spots remain in Venice where you can walk into the city’s storied past in the way you can here, and the experience starts before you even check in. The hotel is a 35-minute boat ride from Marco Polo Airport, giving you and your honey plenty of time to set the mood as you cruise through the heart of the city’s famed waterways. 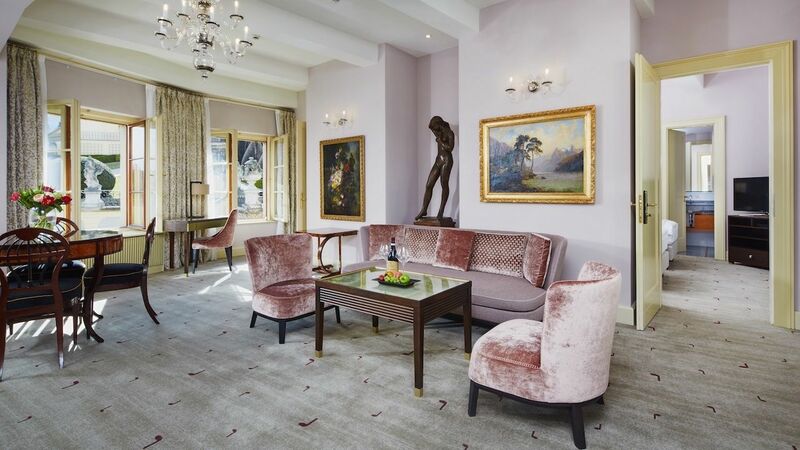 The lobby rooms are set with artistic works from Italian masters including Tiepolo and Sansovino, and the hotel’s concierge has the inside line on exclusive Venice excursions including market tours with the hotel’s chef and private box seats at the La Fenice Opera House. Your first stop, however, needs to be a picnic in the hotel garden, set just off the canal. Most romantic room to book: The Sansovino Suite gives you the chance to warm up in front of an original 16th-century fireplace or gaze over the canal from the terrace, all while sipping a glass of fine Italian wine. You haven’t seen the Eiffel Tower until you’ve watched the sun fall over the top of it from the terrace at the Shangri-La Hotel in Paris. This luxurious retreat is characterized by the finest French design aesthetic, with large walk-in closets and furniture cut to remain as timelessly in-fashion as the cocktail bar in the lobby, Le Bar Botaniste. The hotel is the former residence of none other than Prince Roland Bonaparte, Napoleon’s grandnephew, so you might pick up a bit of emperor syndrome, especially while walking down the grand staircase into one of the most grandiose lobbies in the City of Light. The downside to all of this is that you may end up missing most of the city’s cultural hotspots for no better reason than an unwillingness to leave the hotel, but hey — there’s plenty of Nektar cocktails in the bar and the dining at the Shangri-La is as good as the views, so you’ll still experience that classic French hospitality. Most romantic room to book: The Terrace Eiffel View Room nearly guarantees that your entire stay will be spent inside your suite, gazing out of the window in awe. For nearly $2,000 per night, you can actually feel like you’re inside Instagram. The Peninsula is located riverside in Bangkok’s Khlong Ton Sai district, a vibrant part of the city bustling with vendors, shops, and trendy bars along the water. The spa, so extensive that it necessitates its own building, spruces up the Thai massage with notes of European and ayurvedic styles. The hotel’s casual pool scene is the best place to relax over a cocktail before dinner at the adjacent River Cafe & Terrace, where ferries and commercial boats pass by on the bustling Chao Phraya River. The hotel offers a free ferry for guests to the river’s east bank, where you can easily walk to dining and nightlife in the equally popping Bang Rak neighborhood. Most romantic room to book: Two options for utmost romantic opportunity are available at the Peninsula. The first is the private suites in the spa building, which have riverside whirlpools and better access to the holistic services in the palatial spa. The other option is a Grand Balcony Room in the tower, overlooking the “River of Kings” down below. 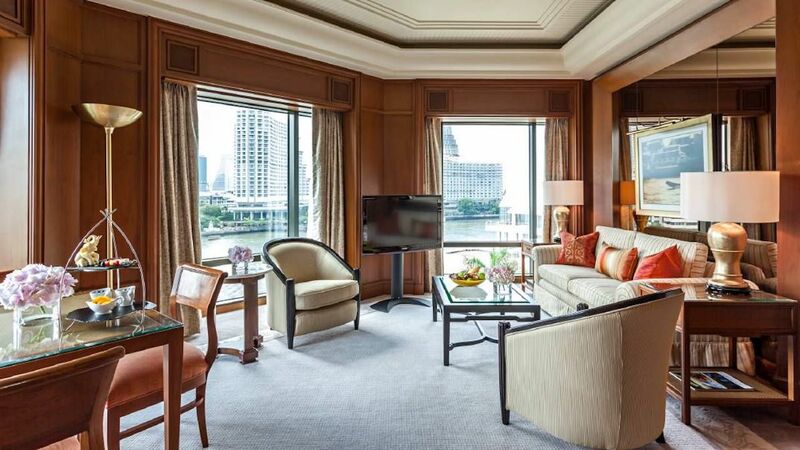 Sipping wine on your private balcony, with Bangkok’s sprawling cityscape on full display behind the river, is among the world’s most stunning views — just be sure your room is on the east side of the building. If Paris is the suave gentleman who approaches you at the bar, glass of bubbling Brut in hand, Amsterdam is the smooth cat tucked in a corner table sipping a neat pour of whiskey and waiting for you to swivel your head in his direction. 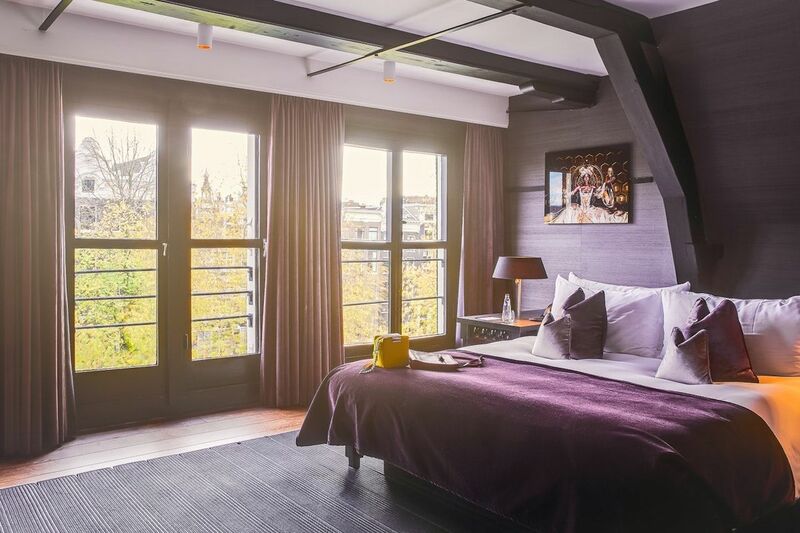 The dank and historic Netherlands capital isn’t often thought of as a romantic city, but boutique hotel Canal House will change your mind about that, putting you right in the heart of the Jordaan District’s action. Maybe it’s the city’s dark facade or the fading haze from the “coffeeshop” down the street, but peering out the window of a hotel room as canal boats pass by on the waters below sure seems to set the mood for a night in. Rooms are decorated primarily in purples and blacks and room service will happily deliver Champagne or a meal from the in-house restaurant. Once you do make it out of the room, plan your bike excursion through the city over a drink in the hotel garden. Most romantic room to book: The Best Room is all about being what it so boastfully claims to be. You’ll feel like you’re chilling with Prince as you lounge on the purple couch or sip bubbly in the clawfoot tub. 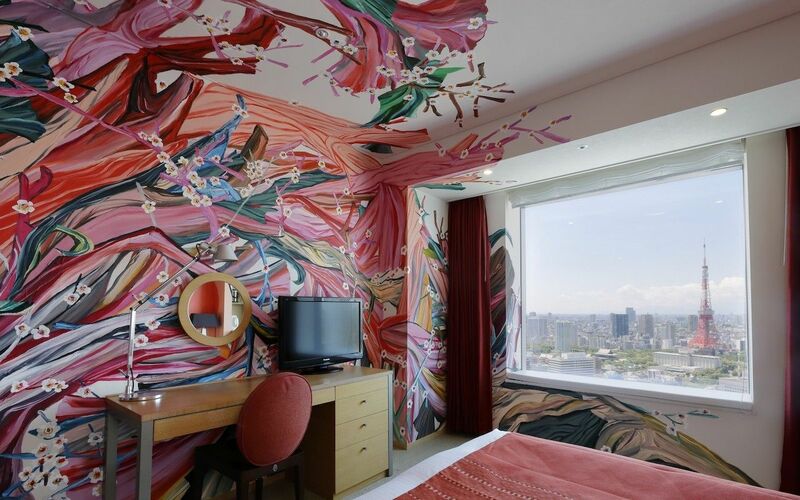 For jaw-dropping skyline views sure to make your partner swoon, Tokyo’s Park Hotel is the spot. Filling the top 10 floors of the 34-story Shiodome Media Tower, this luxury high-rise is vintage Japanese in design, aesthetic, and service. The 10-story atrium opens up the property and casts aside any feeling of entrapment, and the hotel has multiple art galleries open for browsing. Surprise your honey with a skin treatment from the in-house THANN Sanctuary, then stroll hand-in-hand through the B2F Elevator Hall, which Japanese artist OZ-Yamaguchi Keisuke has elegantly painted into an “interstitial space” between everyday life and an escape from reality. The hotel promises that this exhibit “leads all guests to once-in-a-lifetime experiences,” so you have a head start on making this a trip to remember. Most romantic room to book: To help you set the mood, all rooms on the artist floor are stamped by the work of a local artist in residence. Built on the mantra “Infinite time and space amid cognizant Japanese beauty,” each room is designed as an actual work of art itself, and you’ll find zen-inspired paintings covering the walls. If you’ve ever wanted to experience for yourself how well classical music from legends like Beethoven and Mozart complements Romanesque architecture, Prague’s Aria Hotel is the place to do it. The hotel’s architects, Rocco Magnoli and Lorenzo Carmelin, were awarded the project after building a reputation working with iconic fashion designer Gianni Versace. This, of course, means that you should show up expecting to be overcome with feelings of both envy and unadulterated desire, probably the best possible emotional state for a romantic getaway. Each room in the hotel is designed after a classical composer, and the decor of the property reflects the ambiance of the masterpieces. There’s even an “American Rock” suite if cellos and violins aren’t your thing. 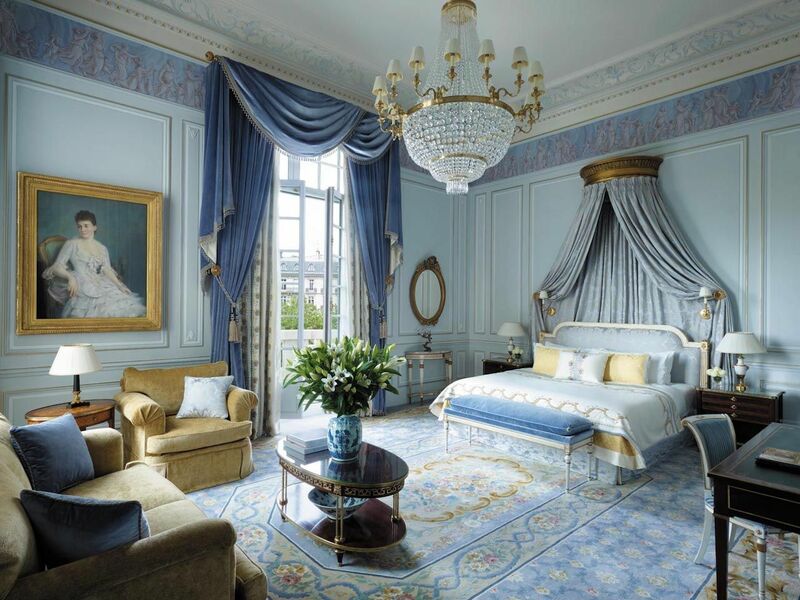 Most romantic room to book: The Mozart Luxury Suite is lined with pieces of art designed either because of Mozart’s work or that just seem to go incredibly well with it. The suite is equipped with unparalleled views of the Baroque Vrtba Garden, along with two bedrooms and a kitchenette, and plenty of the legendary composer’s work to fill the nearly 1,000-square-foot penthouse. There’s never been a better excuse to play “Horn Concerto No. 4 in E flat major” on repeat. The crew behind The William Vale are masters of one of the most pivotal, and often overlooked, tenets of swooning accommodation — the fact that true romance begins long before a couple sets foot in their room. This boutique Brooklyn spot takes luxe, ultra-modern design and blends it seamlessly with Brooklyn’s ultra-trendy hipness, a recipe sure to light a fire in the heart of both lovestruck millennials and boomers refusing to let their age sink in. The lobby gives way to the wood-fired creations of chef Andrew Carmellini, who whets guests with coastal Italian cuisine before sending them to up to the 22nd floor for rooftop cocktails overlooking the New York skyline. The epic views continue once you finally make it back to your room, with floor-to-ceiling windows allowing enough urban glow that the light switch may just go unused. Most romantic room to book: The Vale Garden Residence features a 1,620-square-foot patio that’s larger than the 1,320-square-foot penthouse suite. 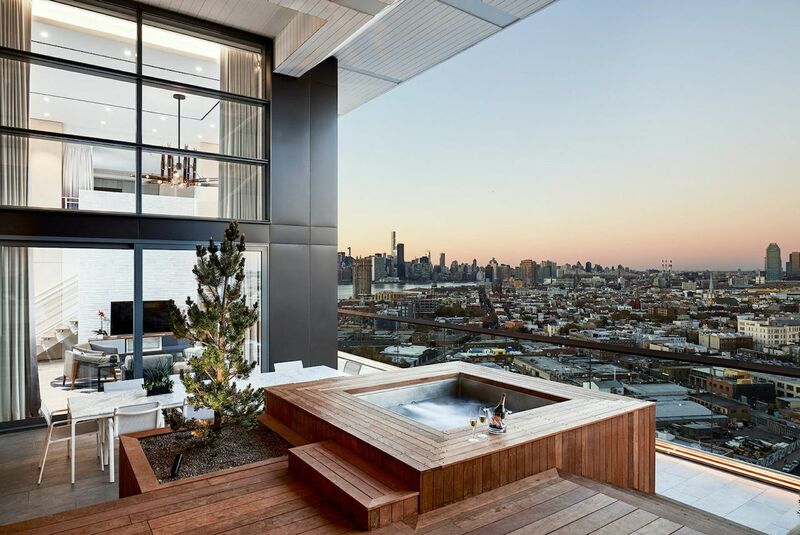 On the patio is a jacuzzi that, while it isn’t heart-shaped, complements the accompanying city views. Moroccan luxury hotels are renowned for their opulence, bright colors, and blend of both Mediterranean and Middle Eastern vibes. La Sultana in Marrakech doesn’t spare a bit of any of this. This five-star property in the medina is the kind of place you bring your partner to get lost in sumptuous abundance, surrounded by blues and greens. 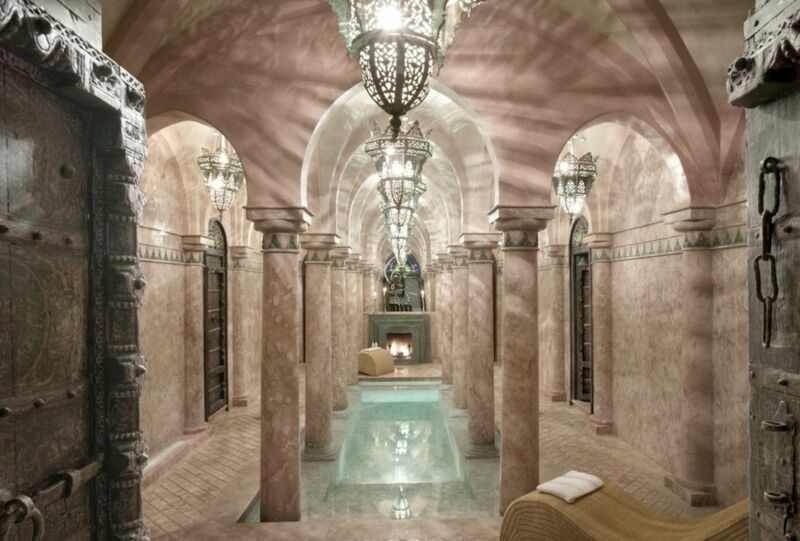 Sip Moroccan mint tea by the pool, then head in for the “Royal Hamma” where you’ll soak in a Turkish bath before being treated to the hotel’s signature massage. The hotel also offers the uniquely romantic experience of desert dining in a setting as au naturale as it gets — they’ll be wowed with fine wines and Mediterranean cuisine on dining furniture hand-carved in the sand. Most romantic room to book: The Exclusive Suite has separate his and hers showers along with a cozy fireplace and private terrace overlooking the Riad Bahia. As a private apartment, there’s plenty of space to lounge and relax after your Royal Hammam.